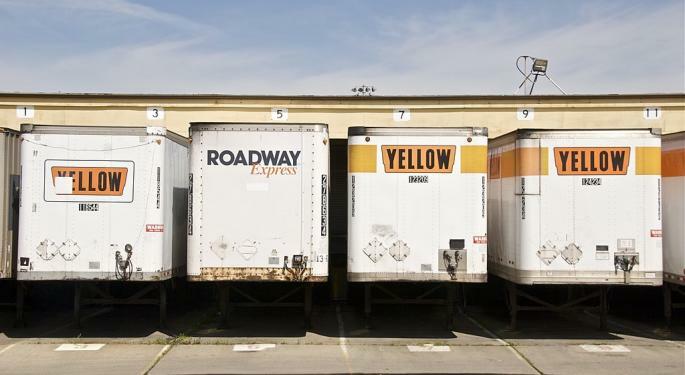 The 26,000 unionized employees at three of less-than-truckload (LTL) carrier YRC Worldwide, Inc.'s (NASDAQ: YRCW) units will spend the next 17 days mulling over a tentative contract that will dictate their livelihood for the next five years, and could determine if the units live or die. The top management at YRC's Overland Park, Kansas headquarters have arrived at their own fork in the road. As they wait for a ratification vote that could make or break the $5 billion company, they are focused on weaning it off a costly reliance on big-name accounts that provide enormous volumes at thin margins. According to executives familiar with YRC's operations, CEO Darren Hawkins and the company's leadership are all too aware of the profit drag of the high-volume accounts. They know that it's the small- to mid-size accounts that generate the margins coveted by the company, analysts and shareholders. However, regional carrier competitors and third-party logistics providers, the latter being firms that manage transport services on behalf of their shipper customers, have been taking business from YRC in the small- to mid-size segment. The company is left with its universe of big shippers unwilling to pay more, especially for the mediocre service levels they receive, according to an executive close to the company. "When they hit 80 percent [on-time delivery levels], they throw a party," said the executive. YRC has struggled in part because its customer mix has been out of balance, the executive said. By contrast, Old Dominion Freight Line, Inc. (NASDAQ: ODFL), by virtually every standard the best-performing LTL carrier, has a balanced mix of small, mid-sized and large accounts, which, in aggregate, provide a more profitable mix, according to an executive close to the $42 billion a year sector. What's more, YRC's infrastructure has long been sized to align with its high-volume business. Should the carrier tell some of its big customers to pay more or pound sand, and its customers choose the latter, YRC will be saddled with a large, high-cost and suddenly underutilized network, according to another industry executive. YRC's current conundrum is the legacy of a decades-old mantra of "bigger is better." The mindset has been that the effect of massive volumes would overcome its inability to raise prices. The message, in no small part, has been hammered home by its big shippers as a rationale for refusing to accept rate increases, one of the executives said. Casting its lot with big accounts also became a vehicle for survival as the company twice has come close to liquidation during the past 10 years, and it needed tonnage at almost any price to keep the revenue flowing. Hawkins, who was unavailable to comment for this article, has begun to change the pricing narrative, said one of the executives. YRC is more willing than it has been in the past to shed marginally profitable large accounts, though the company knows it must tread lightly given its reliance on big shippers, the executive said. 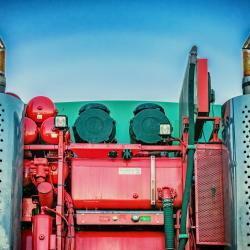 Its fourth quarter revenue per 100 pounds hauled – known as revenue per hundredweight and a yardstick of profitability – rose 6.5 percent for its YRC Freight long-haul unit and 6.8 percent for its three regional units (New Penn, Holland and Reddaway). The increases, which excluded the financial impact of fuel surcharges, more than doubled the year-on-year revenue gain of 3.2 percent. It was also the most significant yield gain in four years at YRC Freight, and in more than 10 years at its regional businesses. The increases were due to a combination of better pricing, more selective revenue management and an aggressive strategy of imposing "accessorial" charges – fees which compensate carriers for services provided beyond the basic transportation, or are used to offset the costs of sub-optimal equipment utilization. For example, shipments occupying a larger portion of a trailer's cubic capacity are being assessed fees for phantom use. This means that a shipper will pay for space it is not using, because the shipment's size and dimensions make it impossible for others to use the space. Shippers that today face a market of tight capacity are generally paying these fees, whereas five to 10 years ago they would have put up a fight, according to one of the executives. If Hawkins is more confident in dumping low-margin accounts, it may be because the LTL industry is in far better shape today than a decade ago. Demand has remained solid for more than two years; the industrial recession of 2014-15 and the uncertainties of the 2016 general election are both distant memories. Revenue for the top 25 carriers, which account for about 90 percent of industry revenue, rose 10.7 percent last year, the highest year-over-year growth rate since 2011, according to data from SJ Consulting. (YRC Freight and the three regional units came in well below the average.) Rate increases have outpaced inflation, and they have stuck. Pricing that was dangerously irrational during and after the Great Recession of 2008-09 has stayed stable for more than seven years. YRC's finances have improved as well, with various financial and operating metrics in uptrends. In a March 2019 update to a July 2018 report, when it issued a positive opinion on $2.7 billion in YRC's debt, bond rating agency Moody's Investor Services said there were improvements in such measures as earnings before interest, taxes, depreciation and amortization (EBITDA), operating margin, and cash and cash equivalents on-hand. The ratio of debt to EBITDA ended 2018 at 5.1 times, down from 5.6 times in 2016, Moody's said. 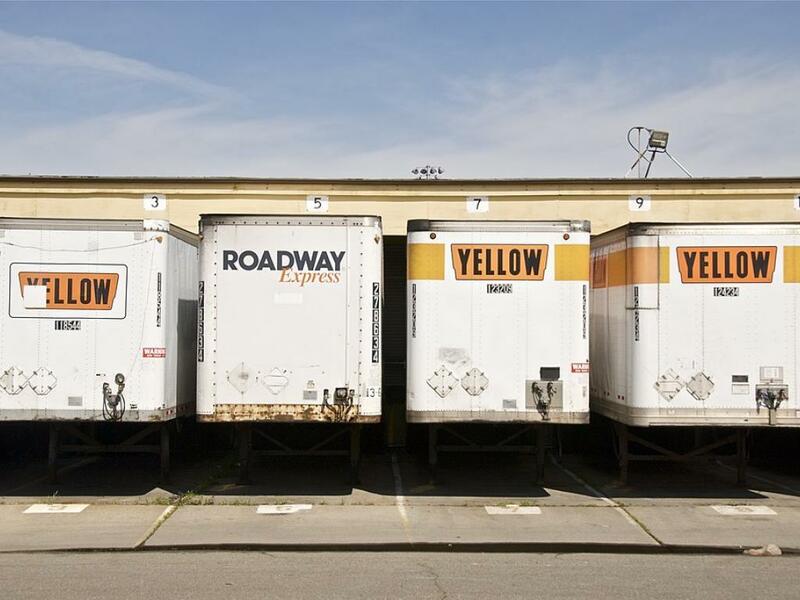 YRC's financial deleveraging has been fueled by "very robust freight demand" that has "enabled the company to markedly increase pricing," Moody's said. That said, the company is far from out of the woods. Its 2018 operating ratio – the ratio of expenses to revenues – was in the mid to high 90 percent range for YRC Freight and the three regionals. Under that metric, the company spent 95-97 cents for every dollar in revenue, an uncomfortably high number. 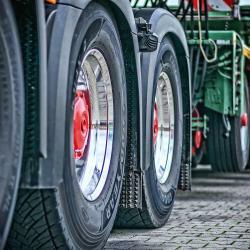 YRC Freight reported a significant drop in its fourth quarter ratio, however. YRC's total debt levels are pushing $3 billion. Included in that are about $1.3 billion in underfunded pension obligations. To help save the company in 2010, the unionized workers allowed the company to freeze pension contributions for two years and resume them at about 25 percent of pre-2010 levels. They have remained at those levels ever since, and the tentative contract doesn't require any change. Ken Paff, national organizer for Teamsters for a Democratic Union (TDU), a dissident group of Teamsters members, estimated it will cost YRC about $300 million per year to restore pensions to legally required levels. However, the company and its workers won't be crossing that bridge any time soon. Building a more profitable pricing matrix will be critical to neutralize the higher costs embedded in the tentative labor contract, which will be voted on over the next two-plus weeks, with the results to be announced May 3. The contract, which governs YRC Freight, New Penn and Holland, calls for a $4 per hour wage increase spread out over five years, an increase in the company's health and welfare contributions, and a return of one week's paid vacation that had been conceded in 2010. Labor accounts for about 60 percent of YRC's overall costs. Teamsters union executives who negotiated the agreement said they extracted as much money from YRC as possible. The head of the union's freight division, Ernie Soehl, warned last week that shippers will likely pull their freight from YRC should the contract be rejected. Should that happen, the three operating companies may go out of business before May 31, the date a two-month extension to the existing contract comes to an end, he said. Satish Jindel, head of SJ Consulting, said YRC shippers have remained supportive of the company during the negotiations. He also said that he is supremely confident that the rank-and-file, knowing what's at stake and the money that YRC is spending, will ratify the contract. "If they can read English, they cannot even think of voting this down," he said.